As its name suggests, ETIS is a comprehensive information system to track illegal trade in ivory and other elephant products. It shares the same objectives as those set out for MIKE in Resolution Conf. 10.10 (Rev. CoP16), with the difference that its aim is to record and analyse levels and trends in illegal trade, rather than the illegal killing of elephants. The central component of ETIS is a database on seizures of elephant specimens that have occurred anywhere in the world since 1989. The seizure database is supported by a series of subsidiary database components that assess law enforcement effort and efficiency, rates of reporting, domestic ivory markets and background economic variables. These database components are time-based and country-specific and are used to mitigate factors that cause bias in the data and might otherwise distort the analytical results. The subsidiary database components also assist in interpreting and understanding the results of the ETIS analyses. Since its inception, ETIS has been managed by TRAFFIC on behalf of the CITES Parties and is currently housed at the TRAFFIC East/Southern Africa office in Harare, Zimbabwe. Monitoring illegal trade in elephant products and illegal killing of elephants was first mandated at the 10th meeting of the Conference of the Parties (CoP10, 1997, Harare) when the Conference of the Parties adopted Resolution Conf. 10.10 on Trade in elephant specimens. Among other things, Resolution Conf. 10.10 called for the establishment, under the supervision and direction of the Standing Committee, of a comprehensive international system to monitor the illegal trade in elephant specimens. Initially, an existing database of ivory seizure information, TRAFFIC’s Bad Ivory Database System (BIDS), was designated as the appropriate instrument for these purposes. To serve the needs of the CITES Parties more effectively, and through a consultative process involving a number of technical experts worldwide, BIDS eventually evolved into ETIS, a far more sophisticated monitoring tool. iv)	building capacity in range States. TRAFFIC is mandated to produce a comprehensive analytical report of the ETIS data assessing the factors addressed in the above objectives at each meeting of the Conference of the Parties. To ensure that there are sufficient data from which to assess illegal trade, the CITES Parties are mandated to communicate information on elephant ivory and other elephant product seizures to TRAFFIC via the CITES Secretariat within 90 days of their occurrence. While this time-frame is often ignored, it is worth noting that the seizure database has nonetheless grown from around 4,000 records from 40 countries or territories in 1997 to include over 10,394 cases, representing 77 countries and territories around the world, at the present time. Today, more Parties than ever before are actively contributing data to ETIS on a regular basis. With the approval of the Standing Committee, TRAFFIC subjected BIDS to an external evaluation process, the results of which were refined at a workshop of technical experts convened in Nairobi, Kenya, in December 1997. 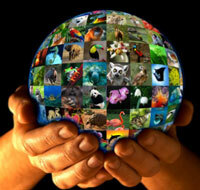 At its 40th meeting (March 1998, London), the CITES Standing Committee approved the basic design elements of ETIS. At that meeting, the Standing Committee agreed to make available CHF 30,000, from the CITES Trust Fund, to assist in the technical refinement and further development of ETIS. To assist in the provision of information, the Secretariat circulated an Ivory and Elephant Product Seizure Data Collection Form to all Parties in Notification to the Parties No. 1998/10 of 31 March 1998. This form is to be completed and returned to the CITES Secretariat for transmission to TRAFFIC to report ivory seizures and confiscations. Through Notification to the Parties No. 1999/36 of 30 April 1999, the Secretariat also circulated Explanatory Notes for the "Ivory and Elephant Product Seizure Data Collection Form". These documents were re-circulated as a reminder with Notification to the Parties No. 1999/92 of 30 November 1999. A functional specification outlining the theory, structure and practical application of ETIS was produced by consultants at the University of Reading’s Statistical Services Centre. This facilitated the development of document Inf. SC.41.1 Development of the CITES Elephant Trade Information System (ETIS), presented at the 41st meeting of the CITES Standing Committee (Geneva, February 1999). In April 1999, with the assistance of technical consultants of the University of Reading's Statistical Services Centre, an MS/ACCESS-based, ETIS software programme for the seizure database was designed and installed at the TRAFFIC East/Southern Africa regional office. The first step in making ETIS fully operational involved the conversion of all previous data from the former BIDS system into the new programme. Covering the period 1 January 1989 to 31 October 1999, the first series of ETIS Country Reports were produced in September 2001 and circulated to 135 Parties through the CITES Secretariat in January 2000. The reports are tabular summaries of all seizures relating to a particular country, either because it is directly involved or has been identified as a source, transit or destination country of seizures that have taken place elsewhere, or because nationals of that country were involved in the illegal transaction. These reports create a valuable feedback loop with the Parties and allow for data to be verified and updated regularly. To update the Parties on progress, a report on the operation and status of ETIS was presented to CoP11 in April 2000. At that time, the database held 4,361 seizure records from 49 countries and territories around the world, but the subsidiary databases were still under development and a statistical analysis of the data was not possible. The report also noted that, in general, the Parties were not providing seizure data in a timely manner. As a result, TRAFFIC was encouraged by the Parties to play a more direct and active role in future data collection. The second series of ETIS Country Reports, covering the period 1 January 1989 to 28 February 2001, were produced in September 2001 and circulated to 179 Parties and non Parties by the CITES Secretariat in February 2002. To foster awareness and build capacity for the implementation of ETIS, TRAFFIC developed an ‘ETIS Action Toolkit’ in April 2002. This training tool comprises seven detailed, but highly adaptive, PowerPoint or overhead modular presentations on CITES, elephant conservation and ETIS. These presentations can underpin a comprehensive, two-day interactive workshop event, or be abbreviated into a brief presentation of 30 minutes duration as the case may be. Workshops have been held in Tanzania, and the ETIS Action Toolkit has been translated into Chinese for use in east Asia. In June 2002, TRAFFIC successfully completed the development of all of the subsidiary database components. These included a law enforcement effort measure based on the CITES National Legislation Project; a law enforcement efficiency measure based on the Corruption Perceptions Index (CPI) of Transparency International; a rate of reporting measure based on CITES annual report submissions; a rate of reporting measure based on a data collection scoring system; a domestic ivory market measure based on comparative information on the scale and degree of regulation of such markets; and a series of background economic variables that hold information on population, area, gross national product (GDP), per capita gross national income (GNI), inflation (GDP deflator) and aid per capita in each country since 1989. For CoP12, in September 2002, TRAFFIC, in collaboration with statisticians from the University of Reading's Statistical Services Centre, produced the first comprehensive analysis of the ETIS data. The three reports comprised a status report on the operational aspects of ETIS, a spatial analysis to identify those countries most prominently implicated in the illicit trade in ivory, and a temporal analysis to establish and assess the trend in illegal trade in ivory since 1989. These reports were in fulfilment of all of the mandated objectives for ETIS. They demonstrated that illicit trade in ivory is driven by large-scale, unregulated domestic ivory markets in Africa and Asia, and that there has been an increasing trend in illegal trade in ivory since 1998, which is largely due to the influence of an emerging market for ivory in China. The results of the ETIS studies were presented at the fifth dialogue meeting of the African elephant range States and to the CITES Parties at CoP12. Recommendations contained in the ETIS reports resulted in the adoption of Decision 12.39, which mandated an assessment of internal ivory trade controls in 10 key ivory markets: Cameroon, China, the Democratic Republic of the Congo, Djibouti, Ethiopia, Japan, Nigeria, Thailand, Uganda and the United States of America. The assessment report was submitted at the 50th meeting of the CITES Standing Committee in March 2004 [see document SC50 Doc. 21.1 (Rev. 1)]. The Parties also agreed to strengthen ETIS by mandating that it be supported by a Technical Advisory Group (TAG), in the same vein that the operation and development of MIKE is supported by a TAG. The third series of ETIS Country reports, covering the period 1 January 1989 to 29 September 2002, were produced and distributed to 160 CITES Parties and their dependent territories and 22 non Parties in April 2003. In December 2003, a major data collection exercise was launched to update ETIS to the extent possible prior to the production of the analytical report for the 13th meeting of the Conference of the Parties (CoP13) in October 2004. Letters of solicitation were sent to every CITES Party and territory requesting the timely submission of elephant product seizure records. The results of this consultation were reported at CoP13 in a report and executive summary. ETIS has become a well-established and effective tool for monitoring illegal trade in elephant products under CITES. Together with MIKE, there is now a very promising basis for assessing decision-making for elephant conservation under CITES in a transparent and credible manner. As noted in the following table, since 1997, a number of government institutions and organizations have supported the development and operation of ETIS. In particular, the United Kingdom’s Department for Environment, Food and Rural Affairs (DEFRA, formerly DETR) is the leading donor supporting ETIS. The World Wide Fund for Nature (WWF), the CITES Secretariat and the United States Fish and Wildlife Service (USFWS) have also provided valuable support. The current budget for each of the main components of ETIS, for the period 2004 to 2006, is provided in the table below. The maintenance and further development of ETIS will cost approximately CHF 352,850 over this three-year period. Currently, the United Kingdom’s DEFRA is the principal donor supporting the operation and implementation of ETIS. Through ETIS, TRAFFIC’s innovative use of law enforcement data to track illegal elephant product trade has become one of the principal monitoring tools for elephants under CITES. Analysis of the information in ETIS is currently being used to help understand contemporary trade dynamics and advise CITES policy, decisions and interventions as appropriate. The analysis produced for CoP13 essentially ‘put a face’ on the trade by identifying key countries engaged in the illicit trade in ivory and documenting the trend since 1989. Although an extremely useful tool in this regard, ETIS also has the potential for another valuable function: to counter illegal trade in elephant products through the provision of enforcement intelligence reports. Recommendations for improving enforcement efforts at tackling illegal trade in elephant products and where resources should be targeted at the national, regional and international levels. These reports would enhance and add value to existing ETIS processes and outputs, and serve to engage a wider audience within the law enforcement community in a specialized and practical manner. The outputs of such an effort could also be generated in other formats that make them accessible and understandable to the CITES community and the media at large. Ultimately improving law enforcement capacity to impact the illegal trade in elephant products will have a positive effect upon elephant conservation and CITES implementation. TRAFFIC has produced a project proposal to undertake such an effort and is currently soliciting donor support for a pilot project to realize this future goal.